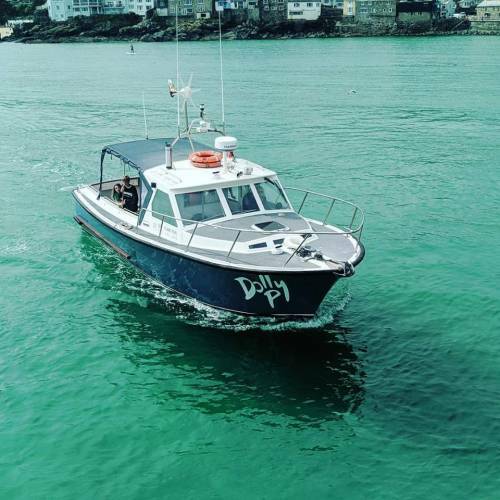 We offer daily boat trips leaving from St Ives harbour, when seal watching along the coast at Seal Island or across the bay at the famous Godrevy lighthouse we explore one of the UK’s most stunning areas. 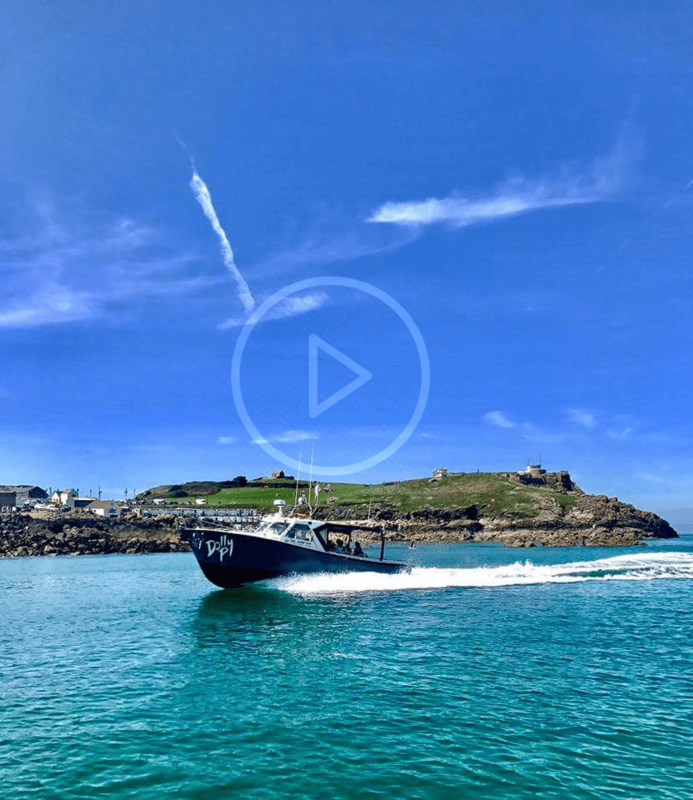 St Ives Bay has been recognised by The Most Beautiful Bays Club as one of only 32 bays in the world and one of only 2 in the UK to meet the stringent requirements of outstanding natural beauty and interesting wildlife and fauna. Seal Island, (Western Carracks), lies 3½ miles (4.8km) West of St Ives, along the rocky Cornish coastline. This rocky outcrop, near Zennor, is home to a colony of Grey Atlantic Seals, where they feel safe, protected from predators and the forces of the Atlantic Ocean. 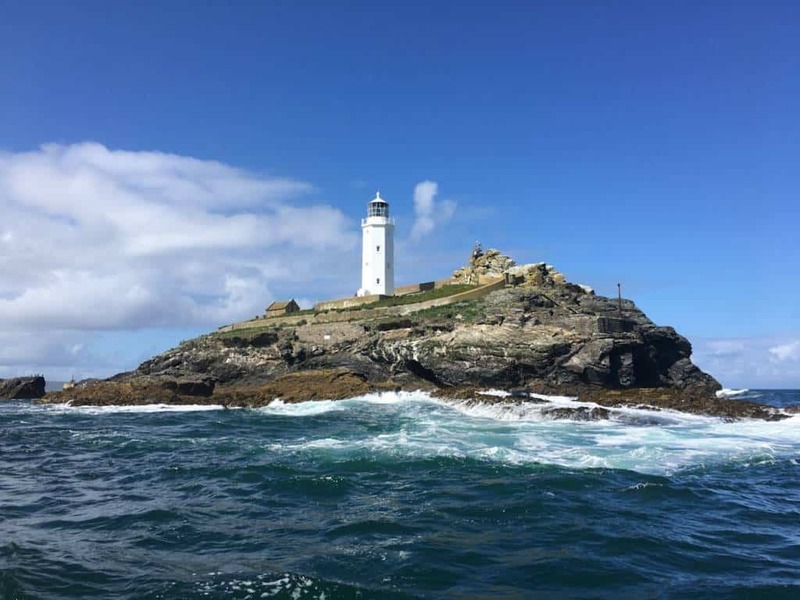 Built in 1859 to warn mariners of the dangers of the Stones Reef, Godrevy Lighthouse stands 26 meters on a small island just off the shoreline near the North Cliffs. Godrevy has been a familiar and welcoming sight for generations of St Ives seafarers. 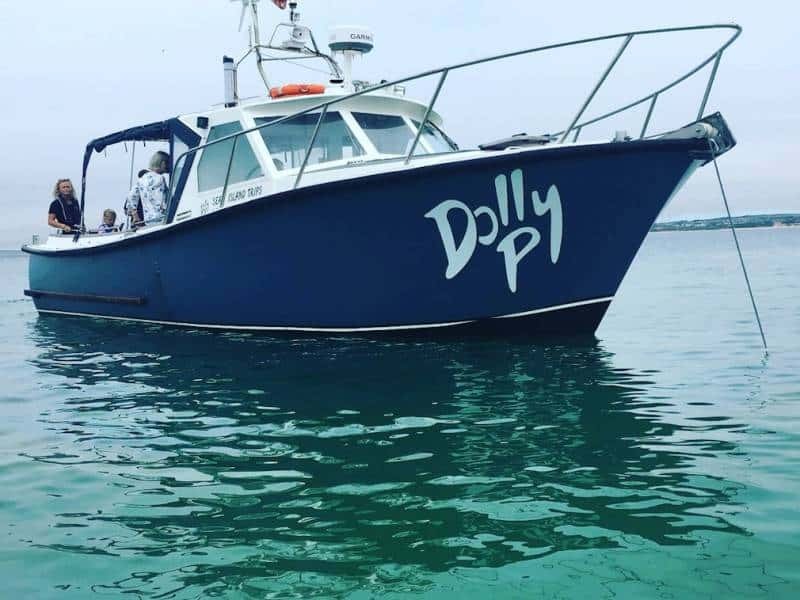 Our boat, Dolly P, is fully licensed to carry 12 passengers and we are pleased to accept private charters to fulfil your preferred requirements. As well as the advertised trips, we are happy to accommodate your exact excursion wishes. Starting from just 1 hour bookings we aim to fulfil your requirements. Contact us to discuss your needs. Faster boat than other trips on offer in St Ives meaning we reached Seal Island well before the other trips leaving at the same time and were able to watch the seals in peace! Very friendly staff and plenty of information given. Not too many people on the boat at once making it feel more special. 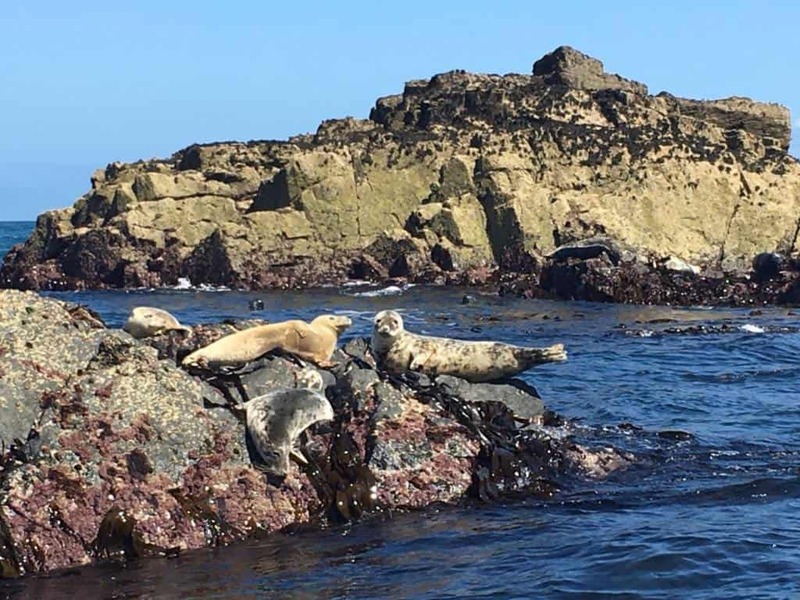 Low tide is a great time to go as the seals are all lounging on the rocks - just be prepared to get a bit wet from spray on the boat! I called on the morning we wanted to do the boat ride on the Dolly P to see the seals, and Mel was so lovely. She gave us a lot of good information and booking. This couldn't have been easier. We booked over the phone, gave our name, then turned up at the Lifeboat Station in St Ives to collect our tickets. It was quite exciting having to paddle out to the wee boat which ferried us out to the Dolly P as the tide was low. Our skipper was Daisy and she made us all feel very welcome aboard. What a fantastic boat trip we had on Dolly P to Godrevy Lighthouse last week! The staff are amazing and really friendly and the kids were so excited. My son was even allowed to sit in the driving seat which he loved and which made the experience even more special. Thanks so much to everyone at Dolly P for a fantastic trip and a wonderful opportunity to see some breathtaking scenery. We had the best time!